Aidan Lockwood lives in a sleepy farming town, day after unremarkable day. But when Jarrod, his former best friend, suddenly moves back home, Aidan begins to see clearly for the first time not only to feelings that go beyond mere friendship, but to a world that is haunted by the stories of his past. Visions from this invisible world come to him unbidden: a great-grandfather on the field of battle; his own father, stumbling upon an unspeakable tragedy; and a mysterious young boy, whose whispered words may be at the heart of the curse that holds Aidan s family in its grip. Now, Aidan must find his way between the past and the present to protect those he loves, and to keep the invisible world at bay. Part ghost story, part love story, this page-turner is a captivating exploration of the power of place, family, memory, and time itself. "Kirkus Reviews"
Barzak expertly balances magical realism, historical flashbacks, and contemporary teen romance in Aidan s journey of self-discovery. "Booklist"
A wonder itself a coming-of-age, coming-out, and crossing-into-the-mystic novel all rolled into one. Tom McNeal, National Book Award finalist for "Far Far Away"
" If you don t want a book with magic, mystery, lying parents, ancient curses, and true, true love (plus wonderful writing), then I m not sure I care to know you. 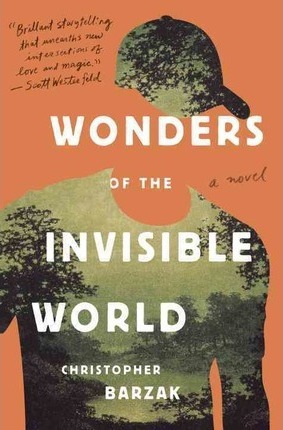 But if you do, then "Wonders of the Invisible World "is the book you ve been waiting for. Karen Joy Fowler, author of "The Jane Austen Book Club""
Chris Barzak s stories have appeared in a many venues, including Nerve, The Year s Best Fantasy and Horror, Teeth, Interfictions, Asimov s, and Lady Churchill s Rosebud Wristlet. His adult fiction includes One for Sorrow, as well as the short story collection Before and Afterlives, which won the Shirley Jackson Award. Chris currently lives in Youngstown, Ohio, where he teaches fiction writing at Youngstown State University."